At The White Dress, we like to have fun. (Clearly.) One of the ways we do that? By keeping our shop hoppin’! There is never a dull moment at The White Dress. Whether we are hosting a trunk show, a fashion show, a sample sale, or an event that introduces you to the latest trends in bridal fashions, we are happiest when our shop is filled with happy people. So check back here often to be a part of what makes The White Dress one of the most happening bridal boutiques around. 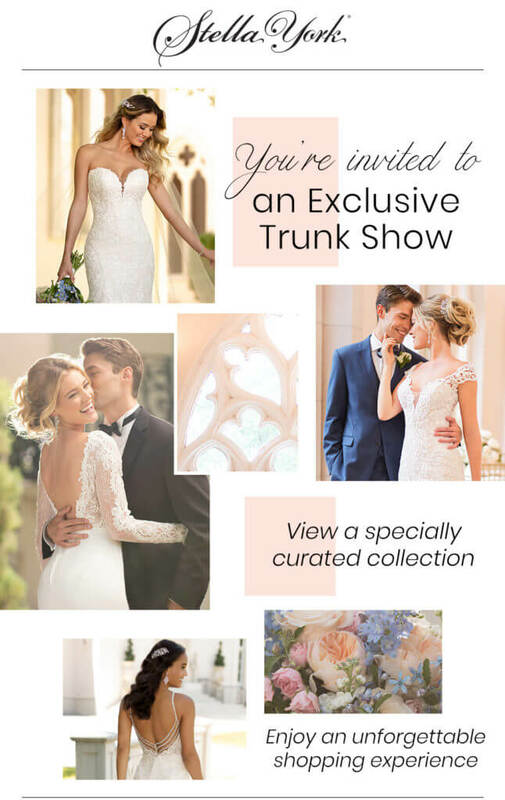 We couldn’t be more excited to announce the next trunk show at TWD – and it’s the very best kind – the Stella York Designer Preview show taking place Friday, April 5 and Saturday, April 6! For those of you that have been following along with us for awhile, you already know that us TWD-ettes are abuzz with excitement already! Appointment slots go very fast, so book your appointment as soon as possible….and then read the below to ensure you know what to expect for your appointment during this very exciting event! Traditionally a trunk show is where a bridal shop has an entire collection from one of their designers in house for a limited time. While that is true in this case, what is unique and different – is that the collection of dresses in our shop is part of the unreleased, and in-progress, collection from Stella York and exists no where else in the world! Yes, you read that correctly, the dresses in our shop are one-of-a-kind and will be able to be tried on and ordered for our brides that find their perfect dress! If that fact isn’t exciting enough, we will be lucky to have some Stella York designer representatives in the shop during the event and they will be around to give their insider expertise and to gather feedback from our brides! You see, this collection is in progress and they are taking feedback direct from our brides to determine which dresses to keep in the collection, and which ones to cut, and which ones to modify. Ah-mazing! Since this is our 7th Designer Preview Trunk Show, we have some tips we’d love to share with you! First off, because of the special nature of this show, the gowns do take a little bit longer to be made, so all brides coming to the trunk show must be getting married after November 1, 2019. Secondly – and this one is important – because the gowns are in the shop just for two days and because the designer makes modifications to the dresses after our show, it is important to come prepared to say yes! Unfortunately, there is no calling or coming back later for these gowns. So that about sums it up! We are thrilled to host this amazing event again and can’t wait to meet our brides and see who ends up with a one-of-a-kind wedding dress! If you are bride on the hunt for a bargain or are short on time…or just love a great steal of a deal, then the TWD Ongoing Wedding Dress Sample Sale is for you. 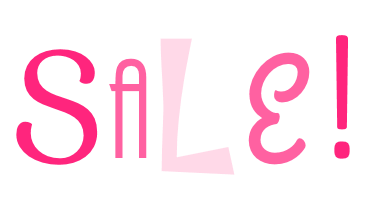 Sample sale wedding gowns and formal dresses are drastically reduced – some even over 50% off and begin at $99!! To see which wedding gowns are on sale, visit our Official Sample Sale webpage!